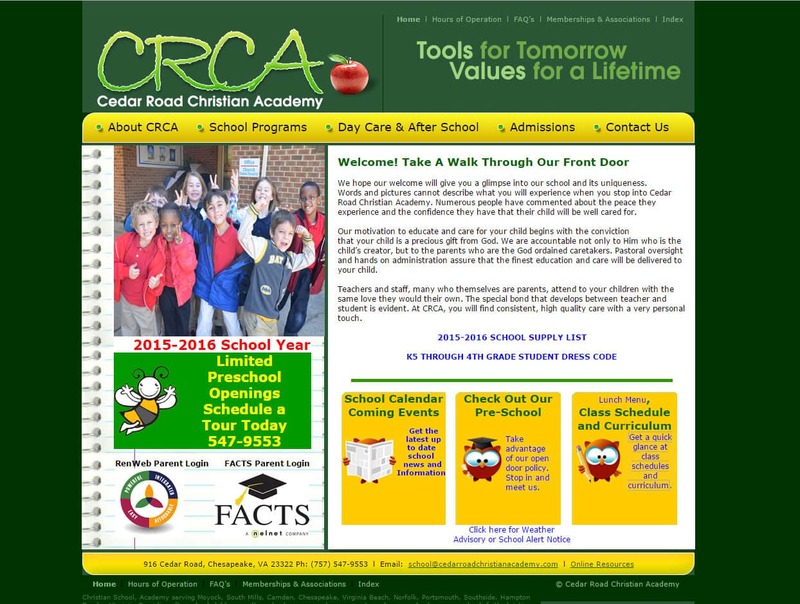 Website design for private christian schools | The team at CRCA in Chesapeake VA wanted to redesign the school’s academy website to be more friendly, whimsical and inviting. The designers at VISIONEFX created a design that conveyed a sense of learning and excitement using color, graphic illustrations and just the right balance of informational content and photography. • SEO and Website maintenance services.